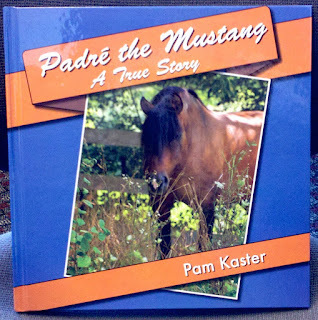 I'm so pleased to recommend Padre the Mustang: A True Story for adults and kids for Christmas. Sure, but maybe more. 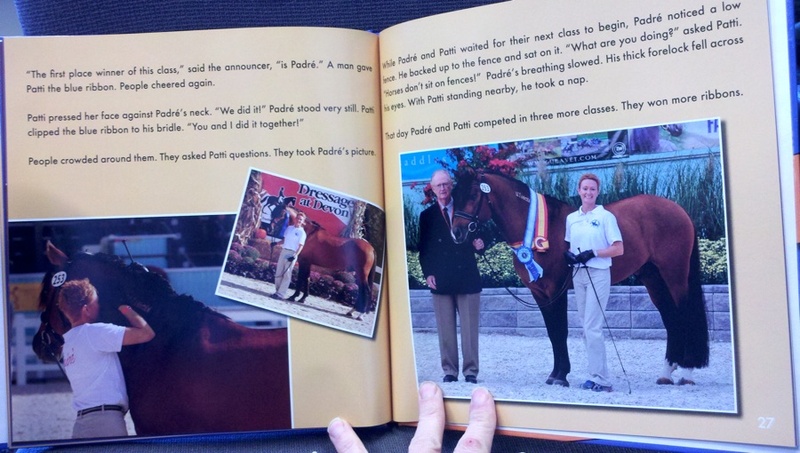 Padre's Story has kid-oriented storytelling, and it's kid-tested on young riders in Vernon Hills, Illinois. The book is also filled with gorgeous full color pictures of Padre, perhaps the most photogenic mustang in history. This could be a coffee table book. I have a copy that I consider Padre's commemorative photo album. I don't know what to say, his sweet face makes me smile and I just plain enjoy looking at it. If you would like to get one, contact Patti Gruber at PattiBrutus2@aol.com. The cost is $19.95 before tax and shipping. It can also be personalized to anyone you would like. T-shirts are also available for $10 in S-2XL, and Sweatshirts for $15 in M-XL, baseball Caps $15. Patti takes Visa, MC and AMEX as well as cashiers checks. Lovely lovely, and each page is filled with color and action! Cool. Looks like a great book. I do know someone who might like it. Thanks for the recommendation.